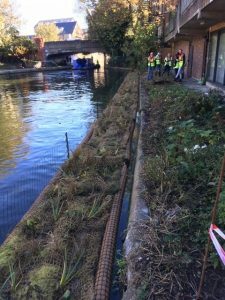 In conjunction with the Environment Agency and Thames 21, we installed 40 metres of floating planters at Old Ford Lock on the Regent’s Canal in October. 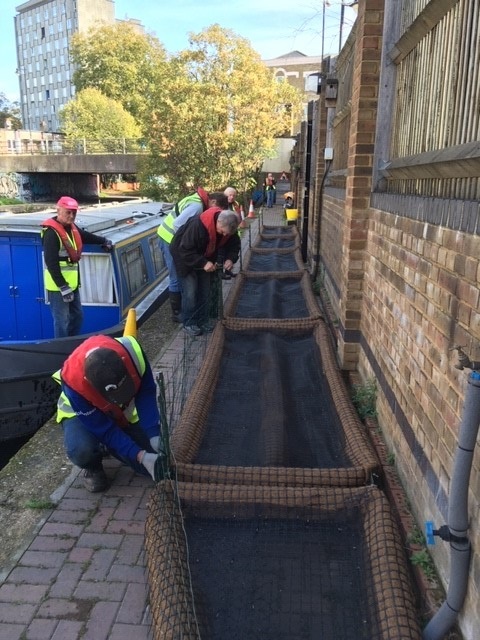 On the first day, we met up at Bow Wharf to assemble the planters. Our volunteers put the rafts together, added the vegetated coir mats, and attached fencing along one side to protect the growing plants from geese. The following day, once the planters were assembled, we moved them via the canal and with assistance from a barge, into their new home at Old Ford Lock, just around the corner. 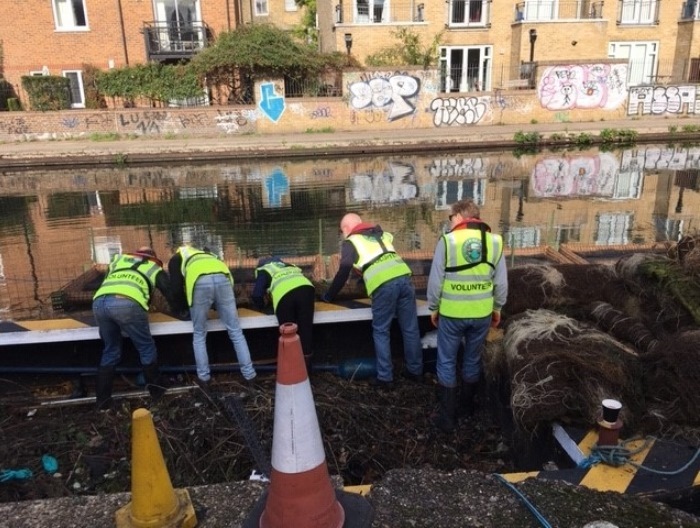 You can see more photos from the day, and find out more about the Lower Regents Coalition’s work, on our Facebook, Instagram and Twitter pages. Photos copyright Lower Regents Coalition. Click to enlarge.